Saki demonstrates use of her litter box. How do you keep your cat happy? Understanding their welfare needs is the key. I was asked to write about this for the International Society of Feline Medicine, in their journal Feline Focus. 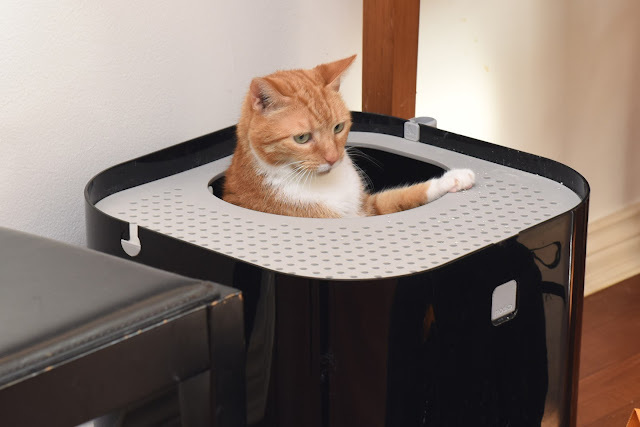 This was a fun article to write and did involve visiting some clients and colleagues to check out their cat-friendly home modifications, indoor cat gardens and an array of amazing litter trays (you will note Saki, the ginger cat, modelling the Modkat litter box, prompting her owner to exclaim that her cat is now a “litter model”). Nurses, technicians and the feline-minded can sign up for free to get monthly access to Feline Focus, as well as participate in free webinars (as a vet I've actually found the nurse webinars really helpful).